The contentious subject of euthanasia has never before been addressed, at least not like this: uncluttered by piousness and unblemished by homily. Coronation Street has abstracted from the ethical debate about the right-to-die a dramatic exposition of the emotions it elicits and the human consequences it involves. 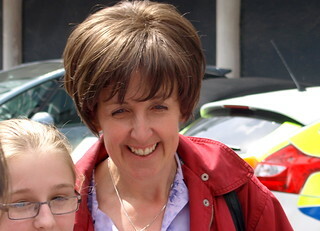 On Monday night, viewers will weep as the terminally ill Hayley Cropper, played by Julie Hesmondalgh (below), takes her own life. It will be the culmination of perhaps the most challenging and certainly the most provocative storyline in the history of the soap and, for that matter, any soap. I will be discussing this story with Liz Green on her morning show on BBC Radio Leeds next Monday. This entry was posted in Uncategorized and tagged Coronation Street, David Neilson, Euthanasia, Jack Kevorkian, Julie Hesmondalgh, right-to-die on 15 January 2014 by .